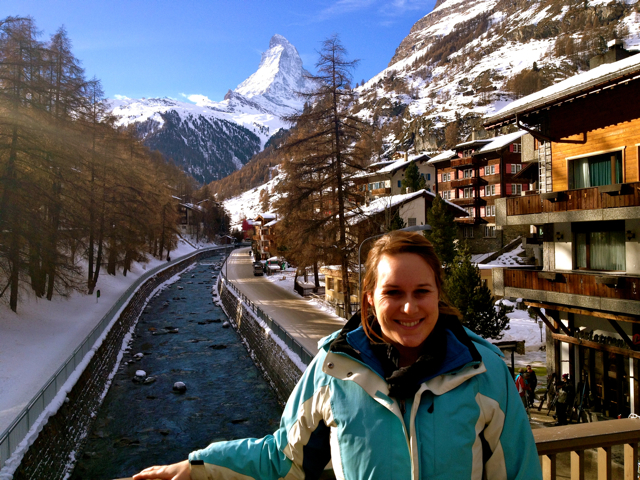 Zermatt, Switzerland has got to be one of the absolute worst places for a single, female budget traveler to go alone. Prices are high. There’s not much to do in town apart from hiking (unless you can afford to ski in one of the most expensive destinations), both activities that generally do not lend themselves to meeting new people. And nothing will make you feel more alone in the world than when the wind picks up on a night with temperatures hovering below zero, while you walk solo along an icy, snow-crested road, passing couple after couple, huddled together, entering the coziest of Swiss chalets, boasting charming architecture and warm fire places, headed instead to a drafty hostel. At least in a place like Hawaii its warm and access to the ocean is free. 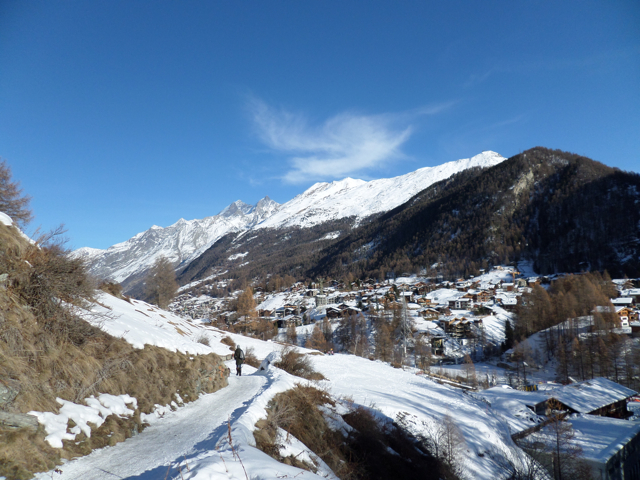 Placing those feelings of loneliness that any solo traveler is bound to experience from time to time while out on the road aside, Zermatt is actually brimming with beauty and well worth a visit, especially for those with an unfaltering Disney obsession like me. 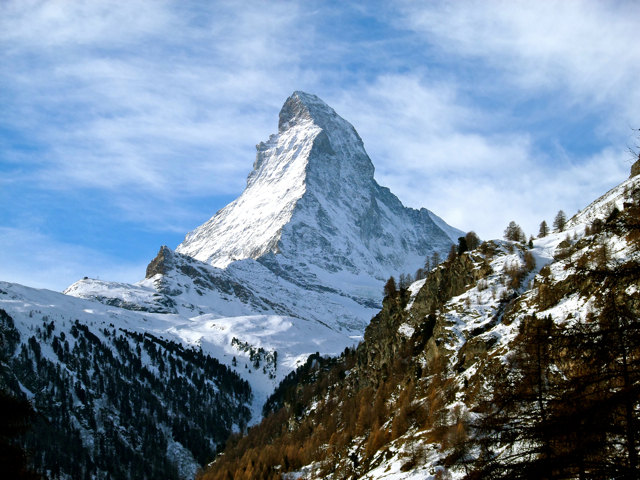 In the Southwest of Switzerland, this small town is most famous for being at the foot of the Matterhorn, a mountain in the Swiss Alps that is the most photographed in the world. Walt Disney spent time in Zermatt in the late 1950’s while filming the live-action film Third Man on the Mountain. 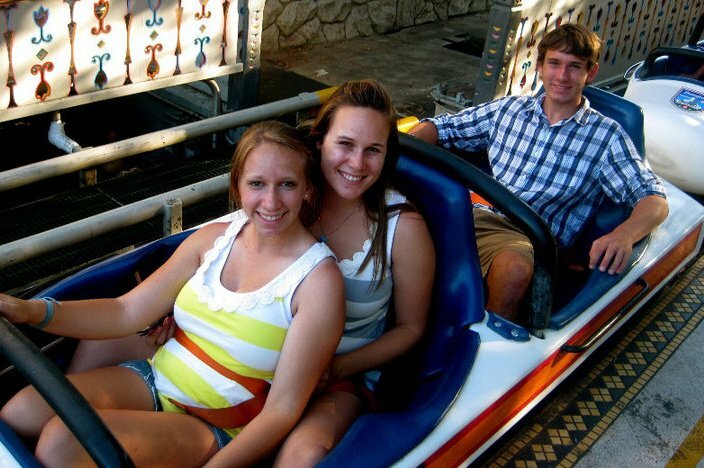 He so fell in love with the snowy peak that he decided to create the Matterhorn Bobsleds attraction at Disneyland Park. This is one of my favorite Disneyland attractions and I was stoked to see the real mountain. The destination has more than 70 kilometers of winter-walking trails. After spending a day hiking along the Matterhorn trail in search of the best vantage points, I am disappointed to report there are no actual bobsleds on the mountain or in Zermatt for that matter. The destination does however, offer some of the world’s best skiing, boasting the highest slopes in the Alps and some of Europe’s steepest. 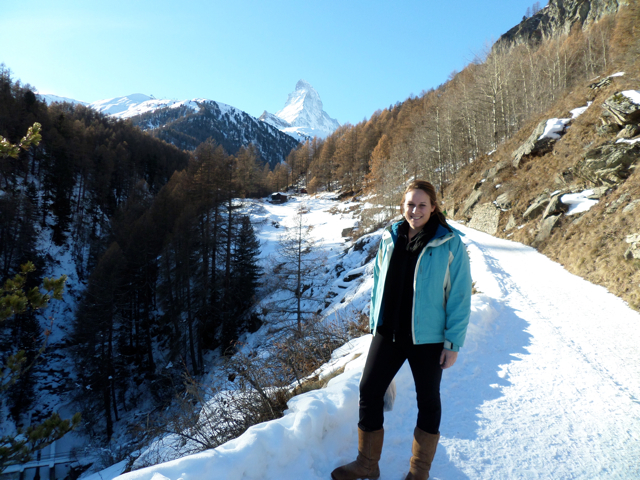 If you are going to partake in winter-walking while in Zermatt, don’t wear Uggs like I did. It turns out Uggs are not the best footwear to use while descending the steep, icy paths. While I managed to ascend several kilometers unscathed, my descent of the mountain involved slipping every few feet, to the probable disgust of the Swiss hikers who passed me in sturdy boots and with hiking poles. 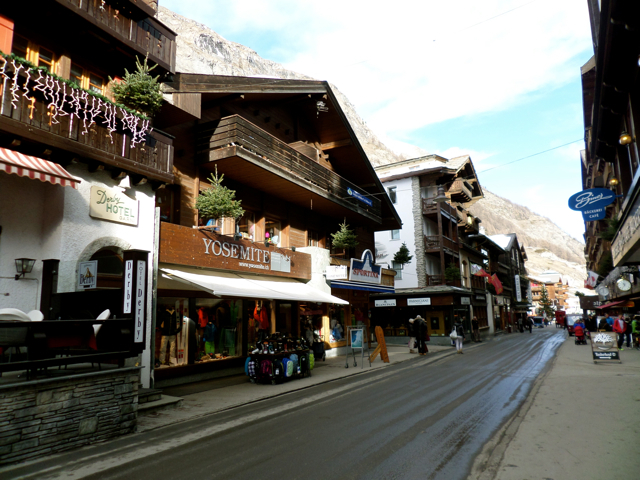 The town of Zermatt itself is quite charming, with quintessential Swiss architecture and quaint shops. My favorite discovery was the Fuchs bakery, offering delicious chocolates, pastries and meat pies. For those on a budget this is a great place to pop in for a take away meal. The nightlife scene in Zermatt is quite limited, however Pollux bar is a great venue for live music and semi-affordable drinks. 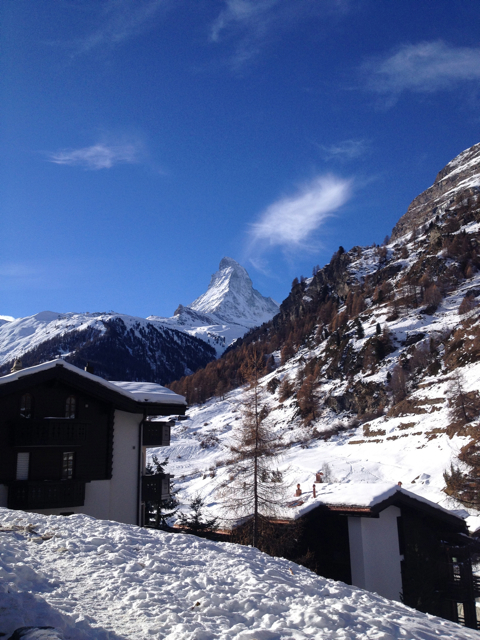 To reach Zermatt by public transportation, you must take the private Matterhorn Gotthard Railway from Visp or Brig. Roundtrip tickets run around 50 Euros.